Has anyone ever had one of these? It's pretty much my most desired cigar, but I don't have any idea how to get them, and so, I have to rely on tales from BOTLs and SOTLs to fuel my enjoyment of them lol (woe is I)... Seriously, though, what are they like? What are they like? Oily leather, sweet Christmas spice, and a fair amount of body for a CC. This is when they are on. 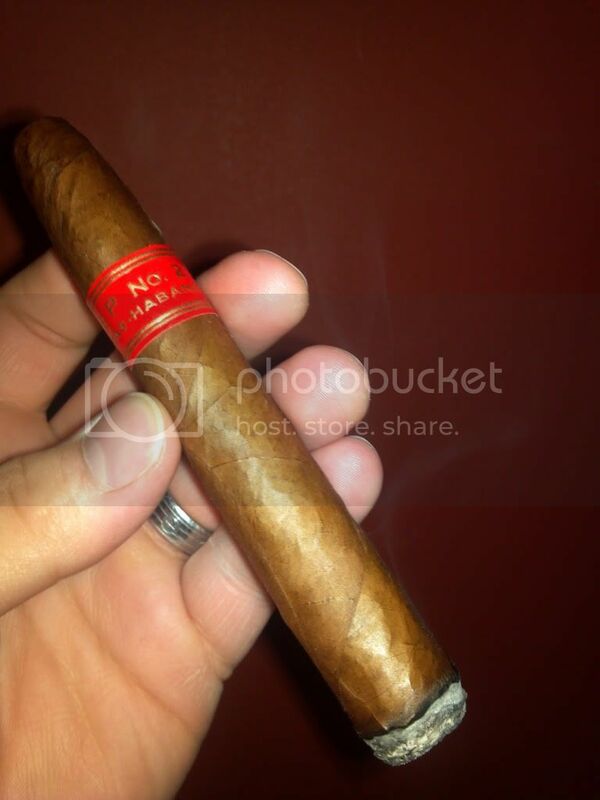 When they aren't at their best, which lately has been my experience, perhaps due to large production numbers, they lack balance, and the bold flavors that I think of as quintessentially Partagas. The Shorts and 898v are more consistent in my experience. I've been smoking them for a few years now and haven't really noticed any drop off in flavor profile or consistency. Definitely an under-rated CC compared to the Cohiba IV. I've heard the no. 4 is the best, and it is a smaller vitola as you mentioned. A reply has been sent, good sir! It is definitely sort of a gateway cigar for those looking to get into Habanos from NCs. Partagas and Bolivar are the two marcas that I always think someone used to smoking strong Nicaraguan cigars should look at early on when trying CCs. Ramon Allones would probably be third on the list, RASS specifically. Don't worry oldsoul I'm in the same boat as you. Eventually I'll try a few to see what all the fuss is about, but for now I'm happy with the legal blends I have access to. 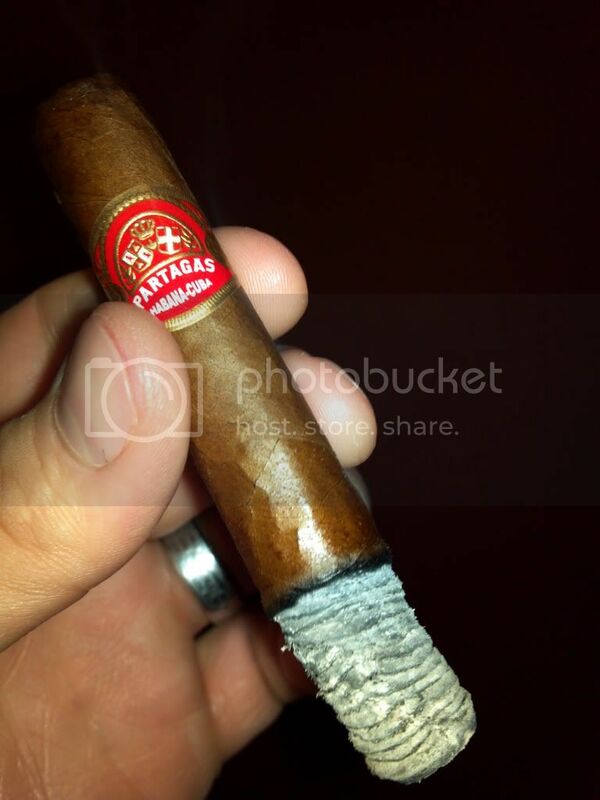 Partagas D is a decent Cuban cigar. A year ago they released a limited edition version which is even better. I brought a box from Madrid. However, they dry out pretty quickly. I put them with 70 humidity and they came back to life. My personal experience is, smoke it as a morning cigar because the flavor is mild to medium. The typical Cuban flowery, fruity flavor is there but it is not a complex cigar. The finish is short and miss the mouthful, round flavor. I think I will not buy a box in the future unless they come up with more robust blend. It is like as usual Cuban Trinidad and Cuaba blend, start with a nice spiciness then slowly loose the complex aroma. however, it can be enjoyable if you smoke it very slowly. maybe my expectation was too high. Please don't get me wrong, it is a enjoyable cigar. +1 on rzman's comments...I have had some of the PSD4s and was underwhelmed...fairly mild and while relativley tasty, it did not have the richness I would like in a ISOM. I need more body and this was just not it. Dowjr1, try Partagas Serie P No.2 then. You will get more flavor and body. This is a great cigar with five years aged tobacco from Vuelta Abajo region. Some people say they are from Alejandro Robiana's firm. However, if you are looking for a bold cuban cigar then try Don Alejandro, Boliver or Ramon Allones Gigantes. I need more body and this was just not it. You're going to be disappointed with every CC you smoke then. A "Full bodied" CC is about comparable to a medium bodied Nicaraguan cigar. I liked the D but loved the P! I loaded up on them when i was overseas but due to lack of willpower smoked all of them on the way home:). Have a few friends in the gulf now who are going to send/bring some back. Will advise when they become available to spread the wealth. I absolutely love the things. One of my favorite. I have series 2 and D. To me they are like smooth silky chocolate with a little nutty flavor to it. One of my favorites I keep loaded in my humi. Dude your killing me!! Been wanting to get my hands on some. Great collection BW. partagas Serie P no. 2 is a cigar for experienced Cuban cigar smokers. It is the fact that Vuelta Abajo produces some of the best Cuban tobaccos. World famous Robian's firm is in this area. The original Corojo seeds came from Rodriguez's firm in Vuelta Abajo. This cigar used five years aged tobaccos which is not very common in Cuba unless we compare with Cohiba Siglo VI gran reserva. This is a gem. I am a huge fan of Vuelta Abajo tobacco. I will have to try the P's now...sounds like a profile I would like better than the D's. Thanks for the recommendation boys. Classic Partagas taste with more oomph than the D or P Serie in my (very limited) experience. My next CC purchase will DEFINITELY include a box of these. Yep, they're one of my favorites too. Unfortunately for me, I've only had a few of them, but I thought they were memorable. I've only had the D, but those limited editions are makin my mouth water! I gotta be honest. I'm kind of confused by some things in the post. First, most all of the great Habanos marcas are blended using tobacco from the Vuelta Abajo (From Upmann and Cohiba to smaller brands like El Rey Del Mundo and Quai d'Orsay). Second, the PSP2 is a regular production cigar. It definitely does NOT contain 5 year old tobacco... When Habanos SA sells a product that uses tobacco with almost ANY age statement attached to it, they make a really big deal about it (the Gran Reserva, and Reserva lines, the wrappers for the Edicion Limitadas, etc.). They certainly don't use aged tobacco in a regular release cigar with large productions numbers like the PSP 2. The entire cigar industry is full of hype, isn't it? That's what I have been told by couple cigar makers in Nicaragua. partagas p no. 2 used five years aged and Cohiba Gran Reserva used tobaccos from 2003. But I take your point and will ask them to give me some reference so I can share here. I do agree with you not all reserva, limited addiction are good cigars. However, Cohiba Gran Reserva is a great cigar. In fact, one of the best cigar in the market, again my personal opinion. As I mentioned earlier I am not a huge fan of D then we drawn into body and Partagas P seri which is a good cigar. Personally, the PSD4 is one of my most favorite cigars. Up until a year ago, I had some 2004s that I had purchased a few of. Last years weren't as good as I had gotten before. It is definitely one of those things that is open to opinion, so the best bet is to try one and see how you like it. Be aware though, you may run into a few that may be a little tight. I know guys that love them and guys that don't think they are worth it. So it all boils down to what you like.